Kathleen Folbigg was a loving mother of four children; Caleb, Patrick, Sarah and Laura. On May 23, 2003, she was found guilty by jury of the murder of Patrick, Sarah and Laura, and guilty of the manslaughter of Caleb, in the Supreme Court of New South Wales. There was no physical evidence the children were murdered. The prosecution relied on circumstantial evidence to present their case. Kathleen has spent the last 15 years in prison and continues to maintain her innocence. In June 2015, three Newcastle-based Barristers submitted a Petition to the Governor outlining grounds upon which Kathleen’s convictions should be reviewed. 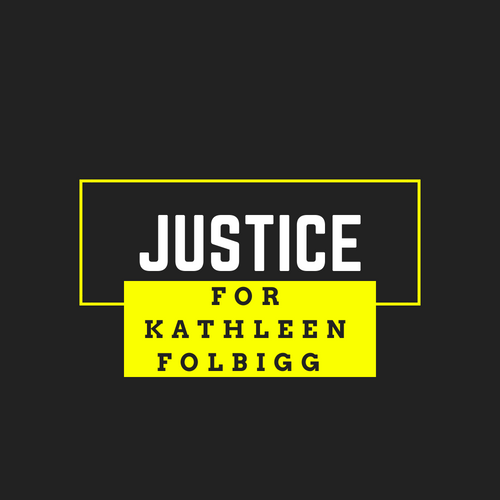 This Petition contains fresh and compelling evidence consistent with Kathleen’s innocence, including a report from one of Australia’s leading forensic pathologists who concluded that there is no basis in forensic pathology that any of the children were smothered. Three years later, Kathleen and her supporters are still waiting for the Governor to respond to the Petition. Friends of Kathy visited her at Silverwater Correctional Complex today prior to the second week of the inquiry into her convictions. They hugged her tightly, knowing how difficult she found the first week of the inquiry. Kathy watched the proceeding alone via video link each day. She admitted it was incredibly tough to listen to details of the autopsies that were performed on her children. Some of the information provided in court had not been heard before, such as the fact her daughter Laura was subjected to a second, incredibly invasive autopsy. This week has been set aside to hear evidence relevant to genetics, cardiology and neurology. The week beginning Monday, April 29, 2019 has been set aside for Kathy to give evidence about her diary entries. The evidence from Kathy will be restricted and the cross-examination of her will be restricted to those particular issues. Naturally, Kathy feels anxious about appearing in court, but she is determined to speak for herself and her beloved children. The substantive hearings will be held at the Forensic Medicine and Coroner’s Court complex located on 1A Main Avenue, Lidcombe. She thanks everyone who has given their support, it has helped ease her pain during this difficult time. Pictured: Counsel assisting the Folbigg inquiry, Gail Furness, SC, delivering the inquiry’s opening address at Lidcombe Coroner’s Court. Solicitor Danny Eid was granted leave to represent Craig Folbigg at Kathy’s inquiry during a brief directions hearing in Sydney today. Outside the court Eid said Craig wanted to be certain all “reasonable and appropriate evidence” was examined and “in light of the fresh inquiry he wants to be sure nothing is missed that could be relevant”. However, making “sure nothing is missed” doesn’t extend to providing DNA to the inquiry. The inquiry has previously heard that Craig complained to the Law Society of NSW after being approached by a solicitor for his former wife over DNA and “absolutely refusing to provide a sample”. Justice for Kathleen Folbigg wonder how such a refusal ensures everything “relevant” is examined? Eid said Kathy’s diary entries were a source of interest for Craig’s legal team. Former District Court chief judge Reginald Blanch, who is heading the inquiry, was told Kathy’s lawyers were still preparing a number of reports to be presented to the inquiry, including a psychiatrist’s report. Counsel assisting the inquiry, Gail Furness, SC, told the inquiry Blanch had already indicated a psychiatrist’s report would be of little assistance. “At the moment I can’t begin to understand what possible assistance it could be to the inquiry,” Blanch said. A lawyer for Kathy said the report would be submitted to Furness “and a determination made if it’s of assistance or not”. Substantive hearing dates for the hearing of expert medical evidence by the inquiry were held the week beginning Monday, March 18, 2019. They focussed on evidence relevant to forensic pathology and Sudden Infant Death Syndrome (SIDS) or Sudden Unexpected Death in Infancy (SUDI). The week beginning Monday, April 15, 2019 has been set aside to hear evidence relevant to genetics, cardiology and neurology. The week beginning Monday, April 29, 2019 has been set aside for Kathy to give evidence about the diary entries, possession of the diaries and her disposal of the diaries. The evidence from Kathy will be restricted and the cross-examination of her will be restricted to those particular issues. Proceedings were much quieter on the second day of the Kathleen Folbigg inquiry, without a camera in sight at Lidcombe coroner’s court. Kathy’s friends Megan and Tracy say the second day in court went well, with four forensic pathologists giving evidence into whether there has been a miscarriage of justice in her convictions. Megan was impressed with the expert opinions given regarding SIDS and the probable causes of death for Kathy’s four children. For example, consulting forensic pathologist Johan Duflou noted that he believed Laura died from myocarditis and Patrick from a fit. The petition that led to the inquiry included a report by Victorian Institute of Forensic Medicine director Professor Stephen Cordner, who said the trial included evidence given under circumstances where a “default diagnosis of murder” was discussed. “The default diagnosis of murder came into play as an incorrect inference arising from the following question which was asked of some of the doctors: ‘Have you ever heard of a family with three or four sudden unexplained infant or childhood deaths? “The uniform answer was no, with the inference being that murder was therefore the only alternative. This default position was wrong. Questioned by counsel assisting the inquiry, Gail Furness, SC, about whether SIDS always meant a natural death, Professor Cordner stated at the inquiry that it did not. “We all understand whenever we use the word or term SIDS, there’s always the possibility there may be an unnatural explanation, or there may be a natural explanation we can’t uncover,” he noted. “So to the extent there was a thought that SIDS was a natural cause of death, I’m not sure I’d completely agree with that. The second day of the inquiry mainly focussed on Kathy’s first child Caleb’s death, with discussion of the other autopsies to continue on day three. Pictured: Kathy’s lawyer Jeremy Morris SC. It’s the moment that felt like it would never come for Kathleen Folbigg’s supporters: the inquiry into her convictions begins on Monday. Next week has been set aside to hear evidence relevant to forensic pathology and Sudden Infant Death Syndrome (SIDS) or Sudden Unexpected Death in Infancy (SUDI). April 15-16 have been set aside to hear evidence relevant to genetics and cardiology. April 17-18 have been set aside for Kathy to give evidence, if she chooses to do so. This Sunday night, 60 Minutes is running an interview with an Australian mother who suffered an identical tragedy to Kathy – four of her children dying of SIDS – but who walked free from court. It’s the first time in 12 years that Carol Matthey has spoken to the media since her preliminary hearing in 2007. We have no idea how the finished program will pan out. Will it paint Kathy as Australia’s worst serial killer or suggest reasonable doubt? Tune in on Sunday night and let us know your thoughts. A group of Kathy’s supporters will attend the inquiry. We’ll try to keep you in the loop as much as we can about the proceeding. “Next week I’ll sit watching Lidcome Coroner’s Court, heart in mouth, knowing that many years of hard work and dedication are about to decide Kath’s future,” Tracy said. She also thanked the author Emma Cunliffe, Kathy’s legal team and friends who have worked tirelessly to make this milestone moment happen. Intense days ahead, especially for Kathy, who has spent the last 16 years in a jail cell and is desperately hoping expert witnesses will convince the inquiry that she didn’t murder her four children. Kathy’s supporters remain disappointed that Kathy’s former husband and the father of her children, Craig Folbigg, has refused to provide a DNA sample for analysis. A fourth directions hearing prior to the judicial review of Kathy’s case was held at the Chief Secretary’s Building in Bridge Street, Sydney today. Kathy – via her legal team – has asked for permission to watch the hearings on video link from Silverwater Jail. She has yet to decide if she will give evidence at the review. Hearings will begin on March 18 at Lidcombe Coroners Court. Forensic pathologists and sudden infant death syndrome experts will be the first to testify, followed by a panel of geneticists in mid-April. Former NSW District Court chief judge Reginald Blanch, who’s heading the inquiry, said April 17 and 18 have been set aside for Kathy to give evidence if she chooses to do so. But she will be required to give one-month’s notice if she intends to appear at the Coroners Court. “The scope of the inquiry will not include the evidence of Folbigg unless we are notified in writing by March 17 that she does intend to give evidence,” Blanch noted. The inquiry will focus on medical advances and new research, including findings on multiple natural infant deaths in the one family. Kathy’s friend Tracy Chapman has shared her frustration that today’s media reports continue to rely on sensationalist language, referring to her as a “serial baby killer”. Three of Kath’s school friends – Megan, Tracy and Alana (pictured above at a cafe near Silverwater Jail – visited her over the weekend and report that she is in good spirits and looks well. She’s both cautiously optimistic and careful not to get too hopeful about the outcome of the upcoming inquiry into her case. Alana said the four chatted about everything from the mundane to the life changing during the visit. “Kath told us about savouring her first taste of fresh cream in 16 years when a prison staff member gave her a slice of sponge cake,” she said. Tracy drove down from the North Coast at 1am in the morning so she could be there for a double visit with Kath, one at 8am and one at 12pm. She collected Megan on the way. Following the afternoon visit, they immediately started the trek back, with Tracy breaking the long journey home in Newcastle. Tracy said: “Kath thanks everyone for their continued support. Especially the legal team, as there is a massive amount of time dedicated on their part for discussion, research, preparation and collation for the enquiry, even before representation at court. A fourth directions hearing has been listed at 10am on Monday, February 11, 2019, at a location to be confirmed. Substantive hearing dates for the hearing of expert medical evidence by the inquiry have also been set down. The week beginning Monday, March 4, 2019, has been set aside to hear evidence relevant to forensic pathology and Sudden Infant Death Syndrome (SIDS) or Sudden Unexpected Death in Infancy (SUDI). The week beginning Monday, March 18, 2019 has been set aside to hear evidence relevant to genetics and cardiology. The substantive hearings will be held at the Chief Secretary’s Building and the Coroner’s Court in Lidcombe. A friend of Kathy’s has spoken to the 7.30 Report about the terrifying moment Laura Folbigg stopped breathing in her care. After Laura, Kathy’s fourth child, was born Karren offered to help look after her and undertook a CPR course to ensure she was prepared for emergencies. Karren was babysitting Laura one day while Kathy ran some errands. About 20 minutes after Laura fell asleep on Karren’s couch, Kathy called to check on her 12-month-old daughter. Karen was shocked to discover Laura lying on the lounge, her face “a funny colour, like it had drained”. “I actually got on the floor and bent over. I couldn’t hear her breathing, couldn’t feel her breathing. I sort of went into panic mode. I put my arms under her and scooped her up and was about to put her on the floor to start CPR, and she took a big gasp in and then a couple of breaths, and it was all good from there. Dr Matthew Orde, a forensic pathologist at Vancouver General Hospital, told the ABC it is possible Laura suffered an acute, life-threatening event, or ALTE. “The episode described by Karren Hall, when Laura was 12 months of age, could well be an ALTE,” he said. Karren’s experience with Laura raises the possibility that Kathy’s children had a genetic abnormality which rendered them at risk of sudden death. However, at a directions hearing in Sydney earlier today, the presiding judge, Reginald Blanch, revealed Kathy’s ex-husband, Craig Folbigg, refused to provide DNA evidence to a lawyer ahead of the inquiry into the deaths of their four children. Craig filed a complaint with the Law Society of NSW about being contacted by his ex-partner’s legal team. The court heard a DNA sample had already been provided by Kathy for genetic testing. The inquiry will now ask Craig to provide a sample as well. Meanwhile, a confidential briefing note written by one of Australia’s top forensic pathologists has been obtained by the ABC which raises fresh questions about the conviction of Kathy in 2003 for smothering all four of her children: Caleb, Patrick, Sarah and Laura.